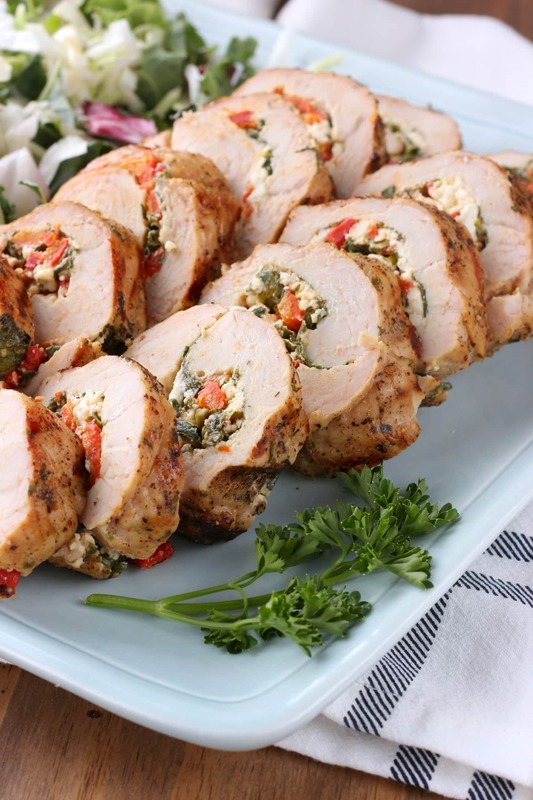 Switch up your grilling routine with this Spinach Feta Stuffed Grilled Turkey Tenderloin! 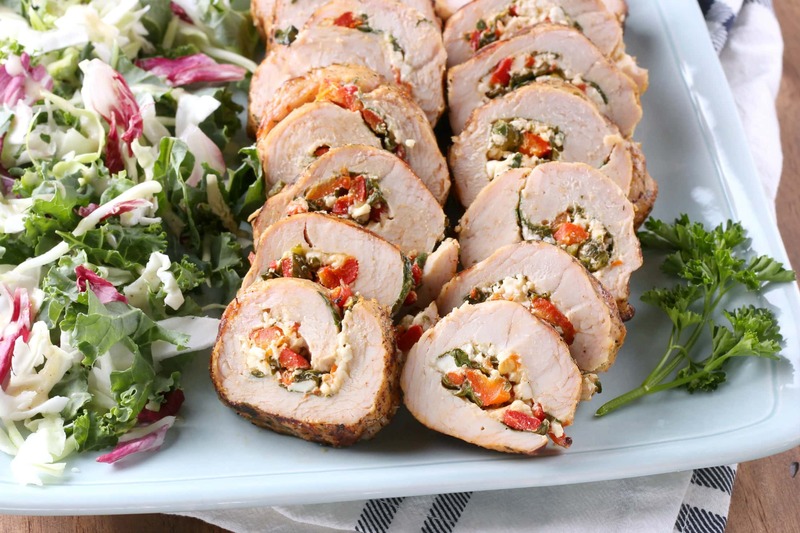 Loaded with flavor and easy to prepare, you’ll want to add it to your menu soon! Grilling season is here, and summer has unofficially started! That means spending as much time as possible outside and, of course, firing up the grill. We end up grilling almost every night in the summer. While we usually end up grilling a lot of the same things, we love to switch things up and try new cuts of meats or flavor combinations. 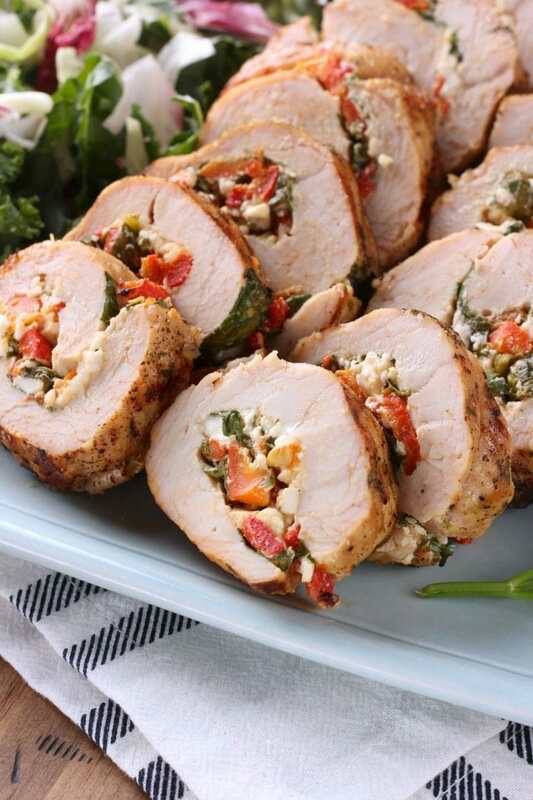 That’s how we stumbled on one of our new favorites, this spinach feta stuffed grilled turkey tenderloin! Did you know that June is Turkey Lovers’ Month? And Sunday, June 18th along with being Father’s Day, is also Turkey Lover’s Day? 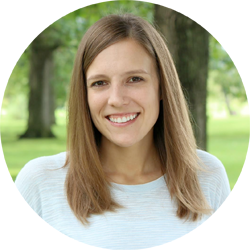 I’ve teamed up with the Minnesota Turkey Growers Association to help you celebrate! Turkey isn’t just for Thanksgiving. In fact, grilled turkey really should become a regular part of your summer grilling rotation. 😉 There are so many cuts that are perfect for the grill! Did you know that Minnesota ranks No. 1 nationally in turkey farming, with 450 turkey farm families raising 46 million turkeys each year. You can meet the Minnesota turkey farmers who may produce your turkey, and even follow turkey farmer Wayne Knudsen of K&B Turkeys as he takes you on a virtual tour of his farm. Minnesota turkey growers provide the best care possible for their flocks to ensure that the turkeys are healthy and safe. Turkeys live in free-roaming (never in cages) barns to protect them from the weather and predators and where they always have access to fresh food and water. Turkey will brown quickly, so keep and eye on it and make sure that the meat has reached a correct internal temperature. Always cook turkey tenderloins, cutlets, breast, bone-in, burgers and sausages to the internal temperature of 165°F and drumsticks and thighs to the internal temperature of 175°F according to a food thermometer. For even more helpful tips and information check out this handy cheat sheet! 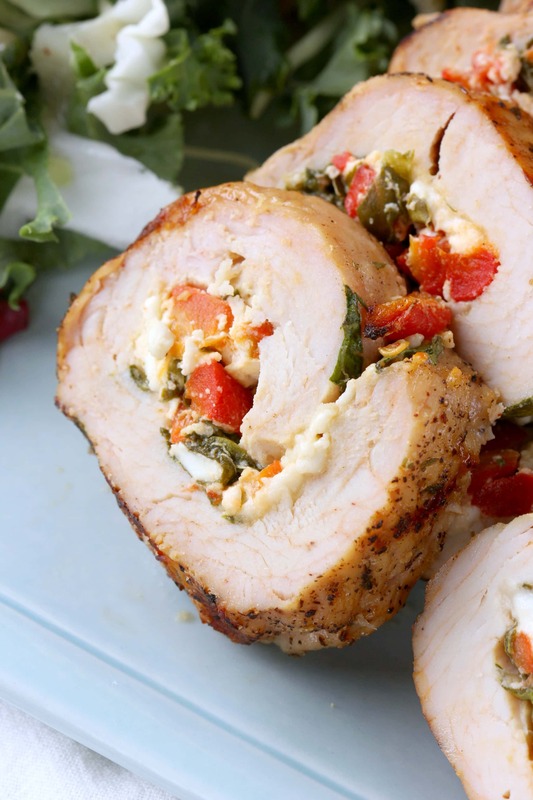 A lot of those tips get used when preparing this grilled stuffed turkey tenderloin. You’ll want to make sure that your grates are lightly coated with non-stick vegetable oil to keep the meat from sticking. We also gave the turkey tenderloin a light rub of olive oil. And then sprinkled it with dried parsley, salt, and pepper! Perfect for giving the turkey great color and flavor! 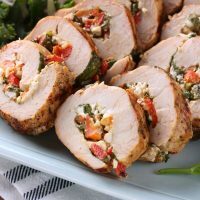 The filling of this tenderloin is a simple mixture of chopped spinach, crumbled feta, chopped roasted red peppers, and some minced garlic. We also added in some red pepper flakes at the last minute for a bit of heat. We liked the kick that it added, but feel free to leave it out of you aren’t a fan! Stuffing the turkey tenderloin isn’t as hard as you might think. Just lightly flatten the meat, spread the filling over the top, and roll it up! Tie the meat with some twine and grill. It’s that simple! The hardest part is waiting for it to finish cooking. The grilling smells will make your mouth water! Butterfly each turkey tenderloin by cutting lengthwise from one side almost to, but not through, the opposite side and place on a parchment paper lined cutting board. Top with another piece of parchment paper and flatten to about 1/3" - 1/2" thickness. 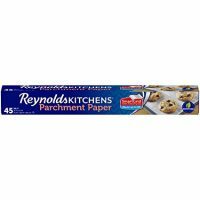 (You don't have to use parchment paper, but it helps keep the mess down.) 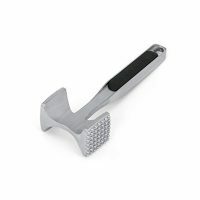 Don't pound the meat too hard as the meat will tear. In a medium bowl, combine chopped spinach, feta crumbles, chopped roasted red peppers, minced garlic, and red pepper flakes. Spoon the filling on the tops of the flattened turkey tenderloins. Roll up each tenderloin, starting at the long edge. Tie each tenderloin with a few pieces of kitchen twine a couple of inches apart. Rub each tenderloin with olive oil. Sprinkle with parsley, salt, and pepper. Lightly coat grill grate with non-stick cooking oil. Heat to medium-high heat. Place turkey tenderloins on grill and turn 3 times to sear all sides. Continue grilling until internal temperature reaches 165 degrees F, about 15-20 minutes. Remove from heat and allow to rest for 5-10 minutes. 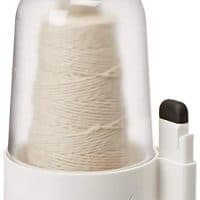 Remove and discard kitchen twine. Cut into pieces and serve. This post is sponsored by the Minnesota Turkey Growers Association. As always, all options are my own. Thanks for supporting brands that make A Kitchen Addiction possible! I need to make this for dinner soon! I love all of the spinach and feta flavors and know that this would be a hit in my family. Love this! 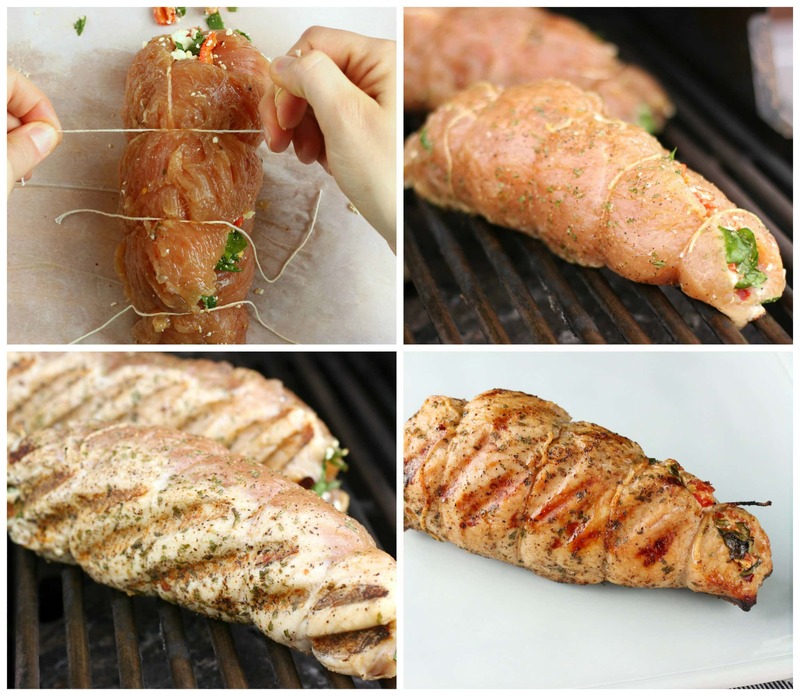 We don’t eat enough turkey…I always forget you get get tenderloins all year round! YUM!!! We do this technique with pork and chicken all the time. But I’ve never tried it with turkey! Love the greek flavors you added! Looks like a great, fast dinner! Adore that filling! 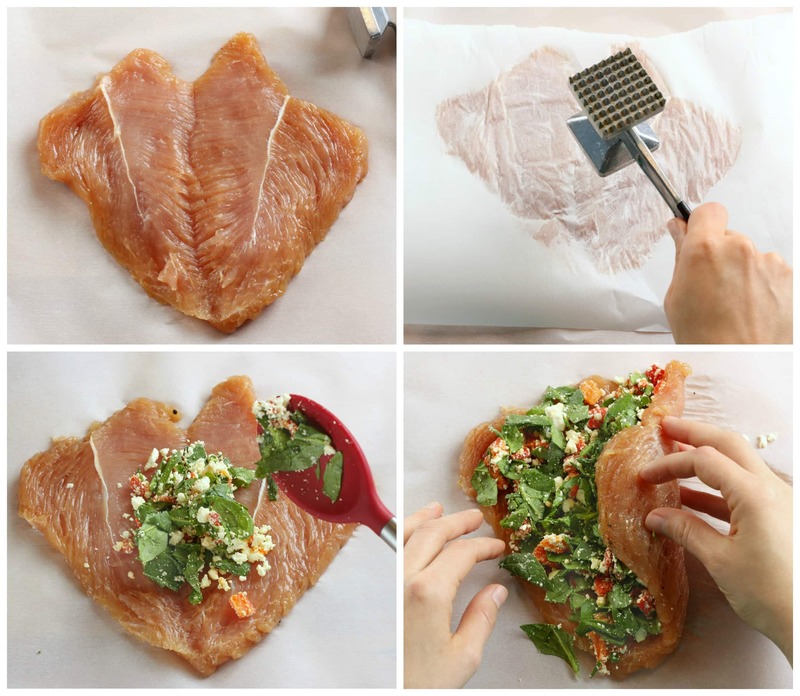 This is such a fun way to change up an ordinary meal! This looks amazing! Love the spinach and feta stuffing! Perfect for grilling season!